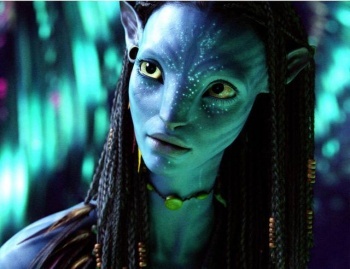 Sequels to 2009's Avatar can be expected in theaters around Christmas 2014 and 2015. James Cameron, director of the multi-billion-dollar grossing Avatar, has revealed his plans for the film's inevitable sequels. The films haven't been fully scripted yet, but he tells Entertainment Weekly that he's in the process of writing them now. The films will likely be shot together, but will be released about a year apart, at Christmas 2014 and the same time in 2015. Cameron also drops a pretty sizable hint about which characters audiences can expect to see again, telling Entertainment Weekly, "Basically, if you survived the first film, you get to be in the second film, at least in some form." Cameron's not only giving the movie-going public Christmas presents-- he wants the world at large to benefit, too. EW reports that the director has partnered with Twentieth Century Fox (the production and distribution company behind Avatar) to donate a percentage of the sequels' "presumably-massive" gross to unspecified environmental charities. Cameron tells EW he didn't want to pump the franchise for more money "without a grander plan in place."